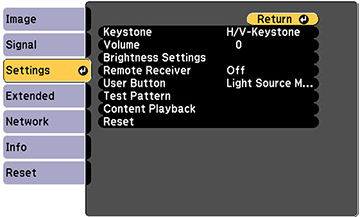 Press the Menu button on the remote control, select the Settings menu, and press Enter ( ). Select the Test Pattern setting and press Enter ( ). Select a test pattern and press Enter ( ).